Closeout. Looking for a stylish alternative to plaids and stripes? 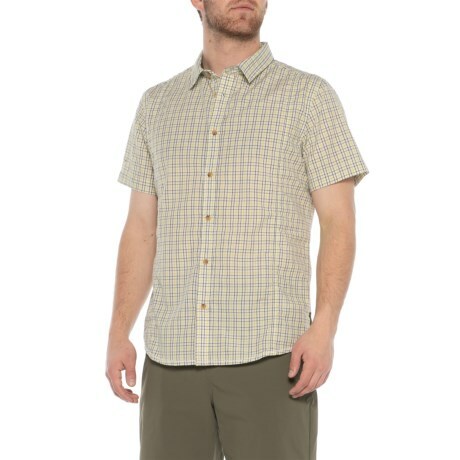 Check out prAnaand#39;s Lukas shirt, made from polyester and organic cotton for a clean, streamlined silhouette. Available Colors: BIO GREEN. Sizes: S, M, L, XL, 2XL.